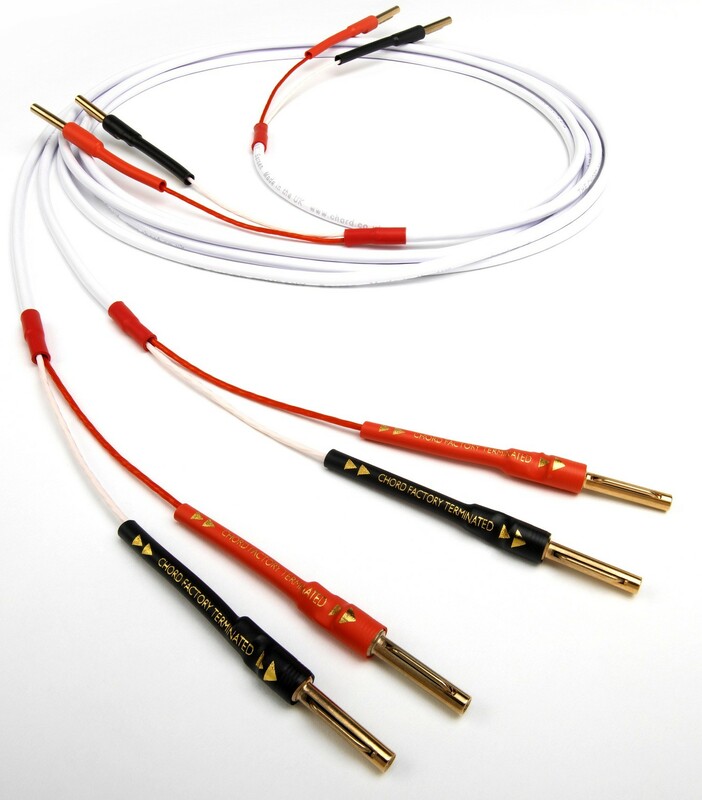 Award winning slim speaker cable suiting a range of systems. Supplied per metre (bare wire), we also offer an optional banana plug termination service for this cable (as pictured). Earn 8 loyalty points when you order this item. 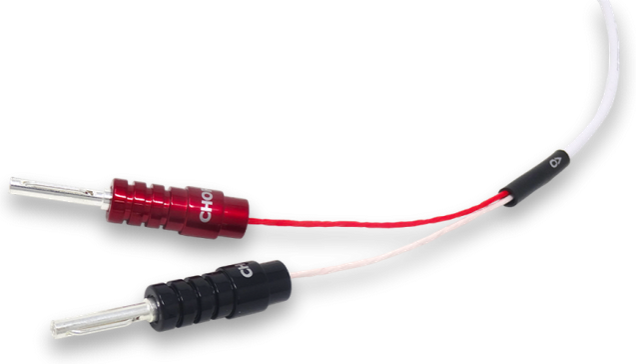 Chord Sarsen is Chord's newest innovation in speaker cables, designed to be a discreet cable with big performance. Supplied off the reel per metre, complete with Chord's 10 year warranty and free UK delivery. Speaker cables don’t get much more discreet than the new Sarsen from The Chord Company. Sarsen uses a clever mix of materials to produce a high performance speaker cable with a diameter of less than 4mm. The conductors are built from multi-stranded oxygen free copper and like other Chord Company speaker cables, are arranged in a twisted pair configuration. Insulation is FEP, a form of PTFE. Supplied unterminated (bare wire) per metre off the reel. Enter total number of metres required (e.g. to order 5 metres, enter 5 and click "BUY"). We can also terminate your cable using banana plugs and heatshrink as pictured. With termination, we will cut the total number of metres ordered in half and terminate a stereo pair (for example, if you order 8 metres, we will terminate two 4 metre lengths). If you require different termination, please contact us before ordering. To read more about our termination service or add it to your order click here. The Chord Company uses PTFE insulation extensively - particularly with cable designs featuring silver-plated conductors. FEP however, has slightly different electrical characteristics, felt by the company to be better suited for use with un-plated copper conductors. The two conductors are covered with a special PVC outer jacket, chosen for its excellent mechanical noise damping abilities. Don’t let the diminutive size of Sarsen fool you. Bandwidth - and particularly bass, is influenced just as much by materials as it is by diameter. The combination of oxygen free conductors and FEP insulation means that Sarsen will turn in a remarkable performance. Even when used to connect an affordable or budget lifestyle home cinema system, Sarsen will surprise with the extra detail, dynamics and transparency it brings. Sarsen is more than just a discreet cable for use with lifestyle home cinema systems. The Chord Company’s extensive test and development procedures mean that Sarsen has been used with some seriously revealing systems and with some seriously big and transparent speakers. In fact, the performance characteristics of Sarsen clearly show the influence of their longest running speaker cable, Chord Rumour - a design so right that it has remained unchanged for almost fifteen years. So wherever there is a need for a truly discreet cable, but one with the performance of a heavier gauge product, there’s Chord Sarsen -speaker cable that’s hard to see but easy to hear.